Please note, you can only refund Attendees if you are using the Expo Pass Registration component. 2. 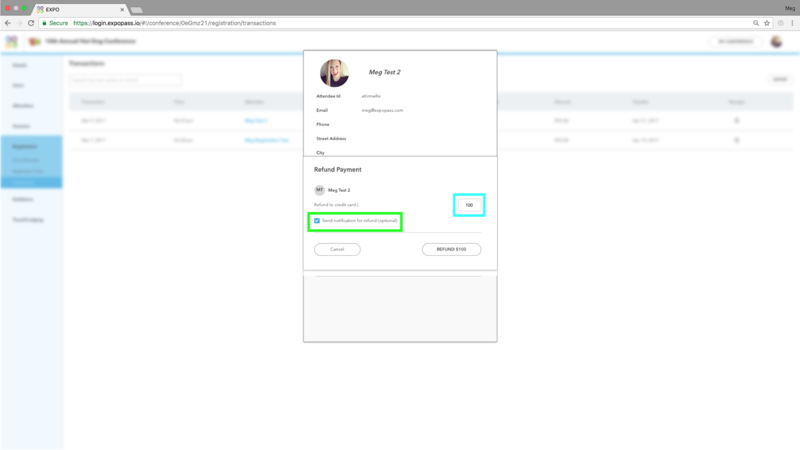 Under the “Registration” tab in the left-hand menu, click on “Transactions”. 3. All currently registered Attendees will appear on this page. 4. Search for the Attendee you would like to refund by last name or email. 5. Once you find the Attendee you want to refund, click on their name.